Once you get to a certain point with your training and diet it can be hard to keep pushing for progress. At that point you’ve probably started to consider supplements – and if you’ve chosen to read this article then you’re possibly considering using a supplement type called prohormones. The purpose of this article is to provide you with information on prohormones – and whether they are safe – so that you can make an informed decision on their side effects, and ultimately if they are a safe choice for you. Technically not hormones, but chemical compounds. While they have minimal effect on their own, they act as hormone precursors by stimulating the body to increase testosterone production. The main claim of these supplements is that after they are absorbed, the conversion of these compunds to testosterone might lead to an anabolic effect . The proposed mechanism is to achieve the effects of steroids but without the severe side effects or legal implications. They have been popular since the 1990s and have been used by bodybuilders, athletes and those wanting to improve their physiques. According to Broeder  ‘over the last few years, supplementation using these prohormones has been aggressively marketed to the general public‘. Common examples include androstenedione, androstenediol, norandrostenedione and norandrostenediol. The common use name in the gym environment is ‘andros‘. These compounds form one of a few synthetically produced ergogenics, alongside anabolic-androgenic steroids and selective androgen receptor modulators (SARMs). 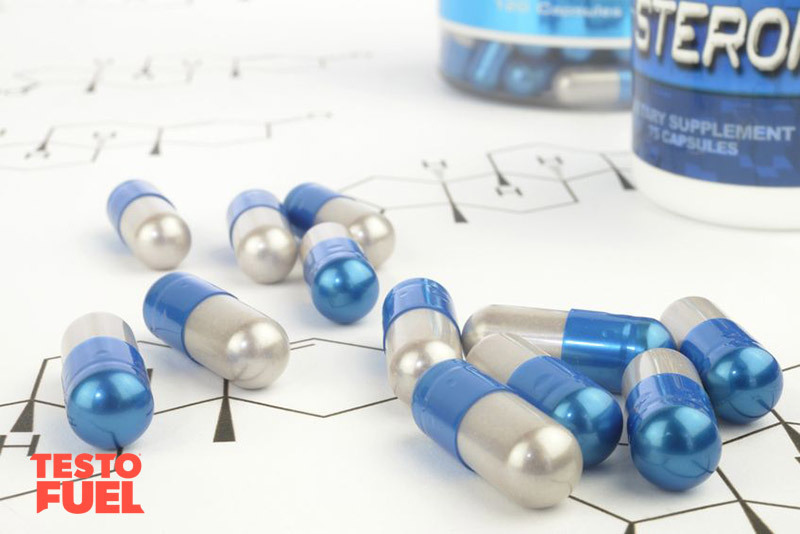 Original claims based on patent applications  suggested that 50mg of androstenedione supplementation could increase T levels by up to 83% and 100mg could increase by 237% – claims that have been challenged by many research reviews. Key point: Prohormones are unsafe chemical compounds that stimulate the body to increase testosterone production. A study in the journal Canadian Society for Exercise Physiology investigated the effects of a range of these compounds on risks and benefits. The report suggested that several studies show that Andro supplement use can abnormally elevate estrogen and other female hormones – increasing risk of prostate and pancreatic cancer, as well as negative effects on blood lipids such as cholesterol. The effects on blood lipids and vascular health are highlighted in this study by Grandos et al. They investigated the effects of 330mg of the prohormone, ‘3β-hydroxy-5α-androst-1-en-17-one‘ per day, on 17 resistance-trained men. They analysed body composition and strength, as well as a range of health markers including kidney and liver functions. While these compounds improved body composition and performance, the benefits came at a significant cost. The authors of the study concluded that “we feel the harm associated with this particular supplement outweighs any potential benefit”. This research paper was named ‘The Andro Project’ and aimed to investigate the physiological and hormonal effects of 200 mg per day of oral androstenediol and androstenedione supplementation in men aged 35 to 65 years. This was done whilst completing a 12-week high-intensity resistance program. Over the 12 week period, volunteers experienced increases in female hormones estradiol and estrone. There was a 6.5% increase in coronary heart disease risk, increase in LDL cholesterol and decrease in HDL. Testosterone did increase within one month, but had gone down to normal levels by the end of the study. The study concluded that Andros do not enhance adaptations to resistance training, but do result in unfavorable alterations in blood lipid and coronary heart disease risk profile in users. This study asked a group of healthy men to ingest 100-300mg per day of androstenedione intermittently over an 8 week period whilst undertaking a resistance training program. Results found that there were no changes in T levels, and whilst strength did increase in the prohormone group, it increased in the control group too, suggesting no additional benefits. There were no significant differences in muscle size or body composition either. There were a number of negative hormonal changes occurred – estrone and estradiol both increased, as well as decreased HDL cholesterol. Researchers suggested that although manufacturers of this supplement suggest 100mg per day, in reality many androstenedione users undoubtedly ingest amounts in excess of 300mg per day. In conclusion “Contrary to marketing claims, research to date indicates that the use of prohormone nutritional supplements does not produce either anabolic or ergogenic effects in men. Moreover, the use of prohormone nutritional supplements may raise the risk for negative health consequences” . Key point: Whilst studies have shown some performance benefits, the side effect appear severe and dangerous. 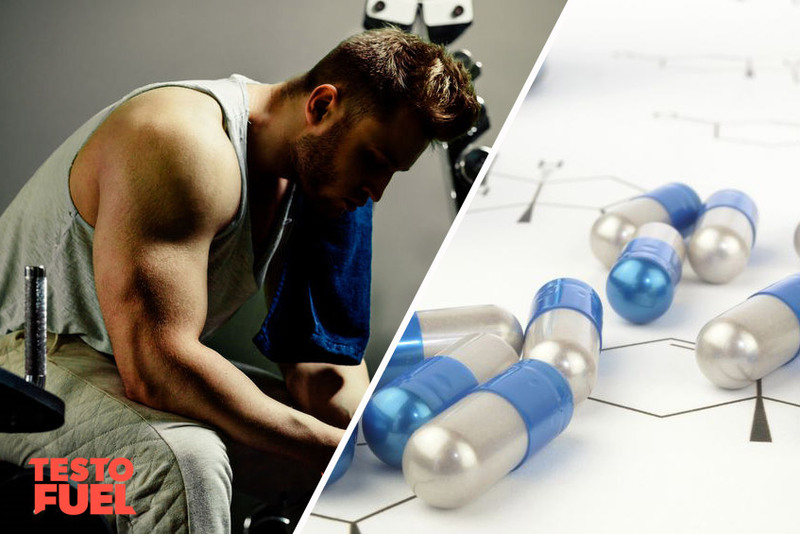 Originally, the chemicals escaped the The Anabolic Steroid Control Act of 1990 banned supplement list as they were not technically classed as an anabolic steroid – androstenedione at the time could be purchased and used as a dietary supplement. However, due to these serious potential side effects and concerns over the safety of these compounds, the FDA included it on The Anabolic Steroid Control Act of 2004, redefining their definition of steroids as any drug or hormonal substance, chemically and pharmacologically related to testosterone . Subsequently, as of January 2005, prohormones could not be sold without prescription or be used by competitive athletes. Additionally, a number of the chemicals were banned by law on the Designer Steroid Control Act (DASCA) of 2014. Drugs on this list included a number of prohormone and steroid supplements (over 15 in total). What this means is that the vast majority of Andros are illegal to purchase or import. Whilst you may be able to purchase them on the internet, it is difficult to know where and what you are buying so it is advised that you stay well clear of them. Final word – Are prohormones safe? No. Prohormones are chemical compounds that activate testosterone production by peripheral enzymatic conversion leading to a claimed anabolic effect. Whilst some research has suggested that they do in fact increase T levels, the majority does not back up the claims made by initial patents and manufacturers. Prohormone use can cause dangerous negative effects to the liver and kidneys, as well as increase risk of certain cancers. Common side effects include an increase in LDL cholesterol, a decrease in HDL cholesterol, and a negative impact on a wide range of liver and kidney biomarkers. Are there non-prohormone alternatives available? When you are looking for a testosterone booster to compliment your hard work in the gym, and your finely tuned diet, you don’t want to look any further than supplements containing oyster extract, Asian Red Panax Ginseng and vitamin D3. TestoFuel contains naturally occurring, high quality ingredients that will boost your T levels safely, and without side effects. Ziegenfuss, TN et al. Effects of prohormone supplementation in humans: a review. Can. J. Appl. Physiol. 2002; 27(6):628-645. Hacker, R., and C. Mattern. Androstenedione Patent Application (Germany). Arrowdeen Ltd. DE 42:14953, 1995. Brown, GA. Testosterone prohormone supplements. Med Sci Sports Exerc. 2006 Aug;38 (8): 1451-61.